CHAPTER 32 PART 2. Directions: All answers are to be completed on your own. 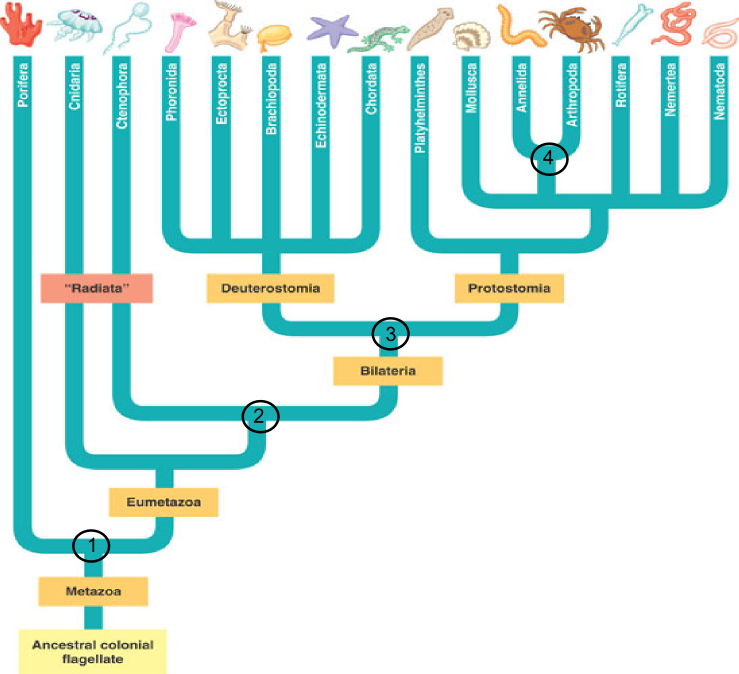 Using Figure 32.10 on page 634-5 and the information in the text, outline the key characteristics of each branch of the Kingdom Animalia (1-4)identified on the diagram. Question 1: What is the "key" distinction at point 1? Question 2: What is the "key" distinction at point 2? Why is "Radiata" in quotes? Question 3: What is the "key" distinction at point 3? Question 4: What is the "key" distinction at point 4?